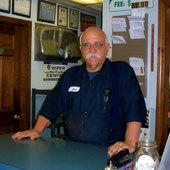 We are happy to be a trusted source for car repair in Rochester. We've been serving people in the Rochester area since 1979 and have many long-term, loyal customers. Click the link below to read some of their reviews on our Facebook page and learn why they depend on us for their car repair. Facebook Users: If you are logged in, you can see a live stream of our Facebook page below. You can swipe down to see the latest posts we've made with specials and other announcements. Or you can visit the page on Facebook by clicking on our name below.